This is one of my favorite structures on the east side of Detroit where I work. At the corner of Mt. Elliot Street and Zender there's the great hand-painted sign opposite the small gathering spot. On any given day there's a small crowd, in the summer daily cookouts of some sort. The sign is a reminder of some of the very local organizations, specifically block clubs, that have some access to City Hall as well as a good network for getting a bunch of people to come together and get something done--this pavilion one example. Thanks for the links Jimini. Although the Global Guerrilla blog pessimistically commented on what I found to be the article of the day! "I’m thrilled that the American people are rising up and exercising the power that Wall Street has taken away from them." ARCHIS in cooperation with Abitare, Netherlands Architecture Institute and the College of Architecture and Design at Lawrence Tech are holding an RSVP event in Warren, MI, February 20-22, 2009 focused on finding pragmatic answers to how we can move from crisis to project within the current real estate crisis. The upcoming RSVP event will focus on the communities in the City of Warren with the highest rates of foreclosure. Participants will explore approaches to residential housing in an attempt to move beyond merely stabilizing our neighborhoods and toward rethinking our vision for them and creating the next generation of suburban development. This event is hosted by the City of Warren and Macomb County and generously sponsored by the Michigan State Housing Development (MSHDA). The 3-day event has the potential to infuse new energy into a very difficult situation. Hopefully you will be able to join us sometime throughout the weekend, please see the schedule below for details. As space is limited, please rsvp to tonimoceri@gmail.com stating which part of the weekend's events you will be participating in. Also note that Friday's bus tour has a limited capacity of 25 people so rsvp as soon as possible to reserve your seat. Be sure to stop by Kuhnhenn Brewery Saturday night to meet our international guests more casually. - Presentations on scenarios for dealing with housing and the real estate crisis (Alexander D'Hooghe, Ole Bouman, Arjen Oosterman and Lucia Tozzi). 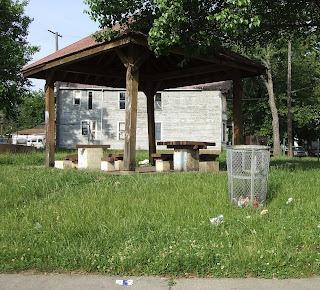 The presentations will be followed by an open forum to discuss and exchange ideas about the scenarios focusing what is most suitable for locations in Warren. - Workshop to develop proposals based on scenarios from Saturday's event, open to anyone interested in participating. The outcomes will be discussed at the end of the day. Marjetica Potrc is a well known architect and artist, in her visit in the Dutch Art Institute for a lecture series for the project Detroit: Unreal Estate Agency, presented her work in two sessions Detroit and New Orleans and Participatory Design. In 2005, Potrc was commissioned to make a project in the Nobel Peace Center in Oslo that was relocated in a new place. Her proposal was not accepted. It was characterised as visual pollution because of the incorporation of wind turbines as the main element of the installation. Then, she decided to relocate green technologies in two different sites: the rural community of the Barefoot College in Rajasthan and the Catherine Ferguson Academy, a high school for teenage mothers in Detroit. An installation of solar panels at the Barefoot College and of a hybrid wind turbine/solar panel system at the Catherine Ferguson Academy aimed to bring viability in these communities through sustainable technology. By referring the 40 years of neo-liberal period from 1968 to 2008 and the latter economic crisis as consolidated time of neo-liberal politics and economics. 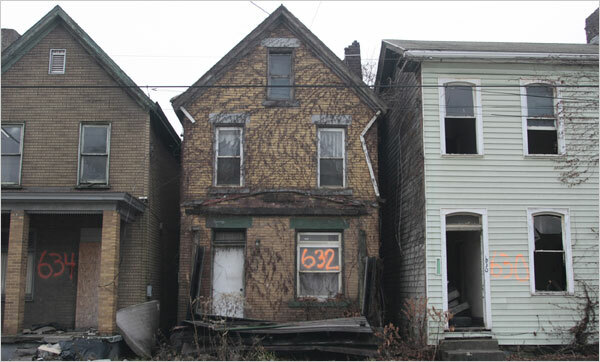 Potrc characterizes Detroit city as the case of disaster of neo-liberal economy, a shrinking, moving city. The crash of the car industry makes the city like a “donut” with the green area in the middle, the 80% of the buildings are gone from the downtown and the suburbs are expanded. From 2 million people now the half people live in the city and mostly Afro-Americans. Most of white population live in suburbia and reach now the 5.000.000 of population that in the past were only 500.000 people. As Potrc said, If we speak now about the exit of neo-liberalism period; we can speak also for the end of the capitalistic city. Then the question is What is a post capitalist city? Modernist architecture by pretending a global architecture was fitting very well in capitalistic and communistic regimes and ideologies. Now we are a step ahead, we are entering the time of survival. Environmental, equality issues and it’s very interesting that right wind parties re-appropriated the left agendas. In her practice, develops workshops and focuses on the participation of people that lived in the specific sites. In her research looks more in rural populations and conditions that was down upon modernistic time. As she mentioned "…Now the rural communities have bright ideas for survival and solutions for the future also… …Community in crisis is forced to go on and we can see not only in their cases survival solutions but the creation of a new citizenship built up from the down..."
1n 2007, she went in New Orleans, after Katrina without want to criticize the government, as most of the artists did, but to define how the society re-invented itself. She created the Shotgun House with Rainwater-Harvesting Tank points to two recent trends in New Orleans: the revival of the local architectural style known as the Shotgun House, and the move toward self-sustainability. Both are post-Katrina developments and correspond with the deconstruction of modernist architecture and the search for a new, 21st-century social contract for democracy. Local harvesting of energy resources indicates the appearance of new environmental and, subsequently, new political boundaries. Marjetica Potrc presented also The dry toilet a collaborative project with Liyat Esakov that was the result of a six-month stay in Caracas in 2003. During that period they researched the informal city under the auspice of the Caracas Case Project. A dry, ecologically safe toilet was built on the upper part of La Vega barrio, a district in the city without access to the municipal water grid. The aim of the project was to rethink the relationship between infrastructure and architecture in real-life urban practice in a city where about half of the population receives water from municipal authorities no more than two days a week. I don't think the young mayor is half as "charmed by Braddock’s decaying beauty" as the NY Times editors are... It's an interesting follow-up to the Matteo Pasquinelli article posted below. The reporting of Braddock indexes the rise of the "punk aesthetic" stock. The article might as well have been filed under Arts or Travel.